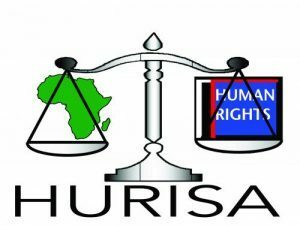 HURISA BOARD of directors & STAFF WISH to EXPRESS DEEP GRATITUDE TO ALL OUR PARTNERS AND DONORS FOR SUPPORT & FRUITFUL COLLABORATIONS IN 2017!!! & RE-OPENS ON 8 JANUARY 2018!!! 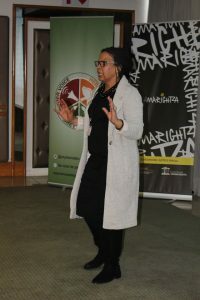 Despite driving a human rights and anti-racism agenda, South Africa is failing to practically ensure citizens enjoy the rights reflected in our constitution and legislation Looking back since 1996, South Africa has made strides in acceding to numerous international human rights instruments that affirmed the country’s commitment to promotion and protection of human rights. There are several international processes which were South African driven and reflective of our progressive human rights values that made the people of this country very proud. The World Conference on Racism, Racial Discrimination Xenophobia and Related Intolerance, was hosted in South Africa on 31 August 2001, in Durban, KwaZulu Natal Province. The conference, adopted the Durban Declaration Programme of Action. The country remains a key leader in putting forward positive strategies to the international community to combat racisms and encourage develop National Action Plans including road maps on how to address the scourge. Despite this contribution, South Africa itself has dragged progress in this area as it is sixteen years (16yrs) since the WACAR and it still has no NAP. Racism remains a deep rooted problem notwithstanding the demise of apartheid policy. This is in spite of laws created to prevent racism such as the Promotion of Equality and Prevention of Unfair Discrimination Act. The manifestation of racism in people’s daily lives is rampant. The Durban Declaration and Programme of Action requires States to develop and implement national policies without delay to address discrimination. During South Africa’s 3rd cycle of the Universal Periodic Review, over 30 recommendations were passed by peer states after raising serious concerns about persistence of racism, xenophobia and related intolerance. South Africa was urged to expedite drafting of a NAP for approval and allocation of adequate resources for proper implementation. The delay in outstanding legislation for addressing racism not only impacts negatively on the society, but contradicts South Africa’s role under the DDPA to encourage the international community to implement the NAPs for effective eradication of racism. Beyond the issue of racism and discrimination, the third UPR cycle has also left South Africa with a total of 243 recommendations passed by peer states.  Protection of minority rights, vulnerable groups including, migrants, LGBTI, people with albinism, people with disabilities, by acceleration of adoption of hate crime, hate speech legislation for prosecution of perpetrators. South Africa was also encouraged to ratify key human rights instruments where ratification remains outstanding,including the International Convention on the Protection of the Rights of All Migrant Workers and Members of their Families, the Optional Protocol on the Convention Against Torture and the Optional Protocol to the International Covenant on Economic Social and Cultural Rights, among others. The HRC also recommended South Africa continue enhancing the realization of the human rights to water and sanitation, to ensure that all homes, health centers and educational establishments have safe drinking water and improved sanitation facilities. South Africa was also requested to reconsider its withdrawal from the RomeStatute of the International Criminal Court by upholding its commitment under those obligations. 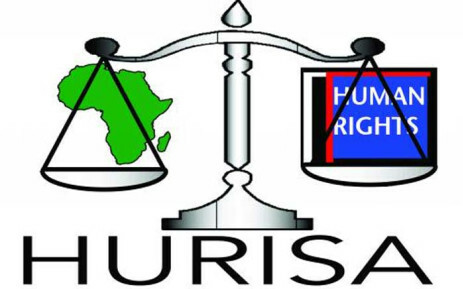 coordination of recommendations obtained from international and regional human rights treaty bodies that monitor’s implementation of human rights instruments, including ensuring South Africa’s regular and timeous submission of periodic reports. * The United Nations General Assembly adopted the Universal Declaration of Human Rights on 10 December 1948. South Africa was among eight (8) countries that abstained from acknowledging this day as International Human Rights Day. It was only in 1996 that the former President Nelson Mandela recognised the UDHR. 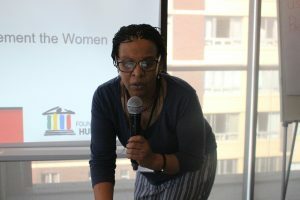 As we commemorate INTERNATIONAL WOMEN HUMAN RIGHTS DEFENDERS DAY on 29 November, Human Rights Institute of South Africa (HURISA) and Tshwaranang Legal advocacy Centre (TLAC) are saddened by and deeply mourn the passing on of Beloved Friend, South African Woman Human Rights Defender, Lucrecia Seafield. Words cannot express our profound despair and sorrow. She was devoted stalwart to the struggles and work of Women Human Rights Defenders who continue to face hostilities and operate in grave violent environments for women and children. She will be painfully missed for defending the human rights of all the people indiscriminately, with exceptional integrity, virtuously and professionally in South Africa and across the globe. She was humble, accessible especially to the Grassroot Communities, women groups, youth formations, child rights advocates, LGBTI activists, refugees and migrants. She demonstrated her passion, compassion, love and care for all people throughout her life. As a sector we have lost a dear friend and words cannot express our pain – an honest human being with a very big heart. She supported all needs of all local CSO’s and Community Based Organisations to advancement of Woman Human Rights defenders. We Salute You Lucrecia! Your Heroisms will remain in us! We thank you for assisting the Women in South Africa the broader SADC region to push for promotion and protection of Women Peace and Security and the serious strides in pushing Agenda for consolidation of National Action Plan for promotion of Women, Peace and Security in South Africa.